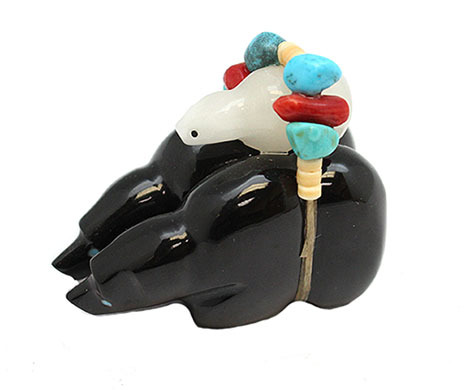 These bears are carved out of black marble with a alabaster baby bear wrapped with turquoise and coral nuggets. It measures 1 1/4" tall, 1 5/8" long and about 3/4" thick. It is Zuni hand carved by Ed Lementino. Sizes may vary some.